LG G8 ThinQ is here: Specs, release date, price, and more! Ahead of the official start of MWC, LG has now unveiled the new LG G8 ThinQ. This slim Android phone may look like last year’s G7, but it touts a lot of new tech inside to help it keep up with competitors Samsung and Huawei. LG’s approach this year was to create new ways for people to interact with their phones. The company doubled-down on biometrics, giving the G8 ThinQ owners three unique ways to secure their device. These new features, alongside the expected spec bump, make the LG G8 a more compelling phone than previous generations of G series devices. Much of the LG G8 ThinQ experience centers on the display. The OLED measures 6.1 inches from corner to corner with 3,120 by 1,440 pixels, making for a Quad HD+ resolution. It’s one of the first screens to support HDR10, which means it has superb color range and contrast. The G8 ThinQ will be a great phone for premium Netflix subscribers. Beyond the screen itself, the glass is capable of what LG calls “Crystal Sound OLED.” In order to help with waterproofing the phone, LG decided to get rid of the traditional earpiece speaker and receiver. Instead, the speaker is located behind the glass and vibrates the screen itself rather than a standard flexible membrane. LG calls this a hole-less receiver and insists that it provides clean audio when making phone calls even in noisy environments. It acts a bit like bone conduction, though it isn’t actually bone conduction. The Crystal Sound OLED can also generate stereo music when in multimedia mode. The G8 ThinQ doesn’t go as far as requiring a drop of blood to confirm your identify, but your blood can be involved if you so choose. First, the G8 has an Infineon time-of-flight (ToF) camera on the front. LG calls it the Z camera. T0F cameras are able to judge distance by measuring how quickly light travels from the phone to you and back to the phone. The ToF is also able to determine depth and positioning. Combined with computer vision and machine learning, this lets the ToF camera construct 3D models of stuff — such as your face. The G8 features 3D face recognition that LG says is far more secure than the standard camera-based face ID. It’s able to recognize faces in very low light, and reacts only when the owner looks at the screen by recognizing eyesight patterns. Then there’s Hand ID. LG claims the G8 ThinQ offers the world’s first vein recognition feature for security. The phone is able to extract an image of the owner’s veins (in their hand) via infrared absorption characteristics of hemoglobin in the blood. LG says it is practically impossible to forge this type of information for hacking purposes. Last, there’s a standard capacitive fingerprint reader on the rear. All the biometric security data is stored locally in the secure enclave. Yes, you can unlock the LG G8 ThinQ by waving your hand in front of the screen. That’s not all you can do via waving. The G8 packs a new tool from LG called Air Motion. The phone is able to recognize the shape and movement of your hand when it’s held close to the screen. This allows you to use touchless controls or gestures to interact with calls, alarms, music, and even screen shots. All these motion and ToF functions play a big role in the selfie camera. LG says the 8MP front camera has an aperture of F/1.7. Together with the ToF camera, it brings improvements to studio effects and backlight control by combining up to 10 pictures into one. This should up peoples’ selfie game. The G8 carries over the dual-camera array from last year’s G8, but the module is now totally flush with the rear surface. There’s a 12MP main camera and a 16MP wide-angle camera. The setup lets the LG G8 ThinQ shoot “Video Portraits,” which feature real-time, depth-of-field bokeh effects. Owners can even adjust the blur in real time as they shoot. Few phones allow for this. Curiously, LG showed us a variant of the G8 that has three cameras on the back, much like the V40 does. LG didn’t come right out and say this three-camera version will be sold by U.S. carriers, but it did imply that it’s available to U.S. carriers should they want it. 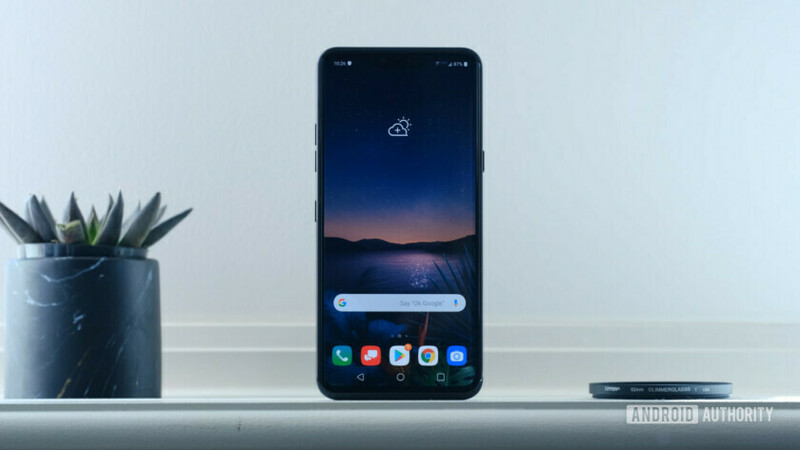 Rounding out the specs, the LG G8 ThinQ is powered by a Qualcomm Snapdragon 855 processor with 6GB of memory and 128GB of storage. It supports expandable memory (up to 2TB) via microSD. A large, 3,500mAh battery is inside and it allows the phone to charge wirelessly. Audiophiles will be happy to learn the phone has a 3.5mm headphone jack with a 32-bit quad-DAC processing the sound. USB-C is tucked in the bottom for charging and a dedicated Google Assistant button adorns the left edge. LG’s G8 launch is confusing. 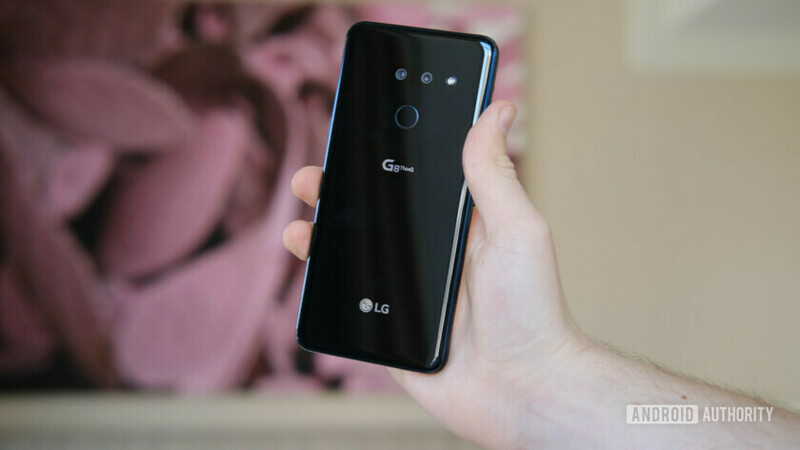 Not only is the company launching the standard dual-camera LG G8 ThinQ globally, it’s also launching a G8 variant with a triple-camera setup in some parts of the world. LG isn’t telling media where the triple-camera version is launching unfortunately, though we know this version will at least be available in Korea. LG is also launching a variant called the LG G8s ThinQ. Despite the “S” moniker traditionally being reserved for higher-powered variants, the G8s actually sacrifices on specs to hit a lower price point. It comes with a slightly larger Full HD+ panel. LG hasn’t given us a full list of specs, though we will likely learn more as the G8s launch nears later in the year. We also aren’t sure where the G8s will launch, though we do know it won’t be coming to the U.S.
LG told us little about the G8’s time to market. It said the phone will arrive in the U.S. in the “coming weeks.” It gave us a bit more detail concerning price by noting that the G7 will be priced “similarly to” the G7. The G7 went on sale last year for approximately $750.